Description REDUCED FROM $19,984!, FUEL EFFICIENT 30 MPG Hwy/22 MPG City! CARFAX 1-Owner, Excellent Condition. LT trim. iPod/MP3 Input, Onboard Communications System, Satellite Radio, Aluminum Wheels, Rear Air, Serviced here, Non-Smoker vehicle. READ MORE! KEY FEATURES INCLUDE Rear Air, Satellite Radio, iPod/MP3 Input, Onboard Communications System, Aluminum Wheels. MP3 Player, Keyless Entry, Remote Trunk Release, Child Safety Locks, Steering Wheel Controls. Chevrolet LT with Black exterior and Jet Black interior features a 4 Cylinder Engine with 197 HP at 6300 RPM*. Serviced here, Non-Smoker vehicle. 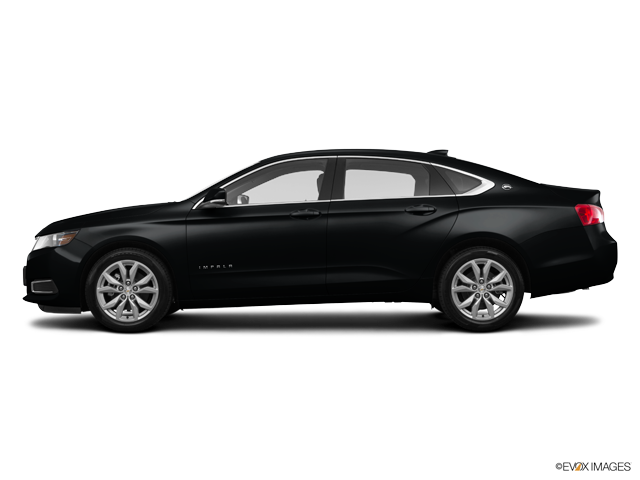 VEHICLE REVIEWS Edmunds.com explains "Should you load up both the rear seat and trunk for a road trip, the Impala will keep your crew comfortable with its impressively smooth ride over bumps and low levels of wind and road noise on the highway. This is a restful, serene road tripper on long hauls.". Great Gas Mileage: 30 MPG Hwy. A GREAT TIME TO BUY Reduced from $19,984. Pricing analysis performed on 6/21/2018. Horsepower calculations based on trim engine configuration. Fuel economy calculations based on original manufacturer data for trim engine configuration. Please confirm the accuracy of the included equipment by calling us prior to purchase.